Paradoxically, the more images we gather nowadays the more they disappear, their abundance makes them invisible. One can simply not sort, select nor present these memories to anyone. The light which was once captured with a great many devices is now hidden in our massive hard drives where nobody can see it. Hell knows who (ever) will. Eternal Light is all about making this captured light shine again. Our OSX based tool makes your abundant photographic memories accessible and perceivable. Eternal Light EL1 lets you control, filter, present and animate vast amounts of HD images (and videos) at your fingertips in no time, at any speed, synced to any sound. 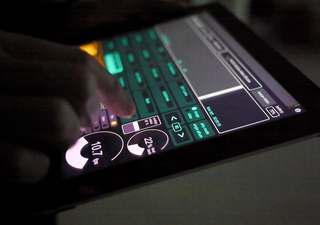 All controlled in realtime with your iPad or iPhone.